In an old neighborhood, stuck in the past, the first anniversary of Morris Mandabon's death is approaching, and his youngest son, Nissim has a dream. In the dream his father orders him to re-open the old neighborhood movie-theater thus breaking the vow Morris had made years ago never to screen movies again. 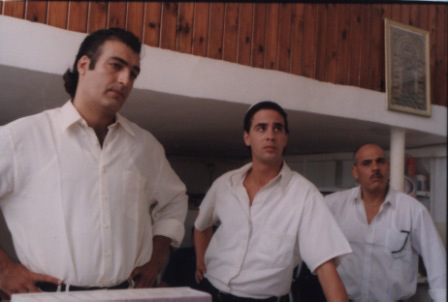 Nissim and his brother George, together with Aaron Gabardine, who used to be the projectionist back in the old days, are going to fulfill Morris' request. The same day Nissim has his dream, Avram Mandabon, Morris' brother, returns for his brother's memorial and resettles in the neighborhood after a twenty-five year absence. His return causes old family feuds to reappear. Seniora Mandabon, the late Morris' wife, won't even speak to him. 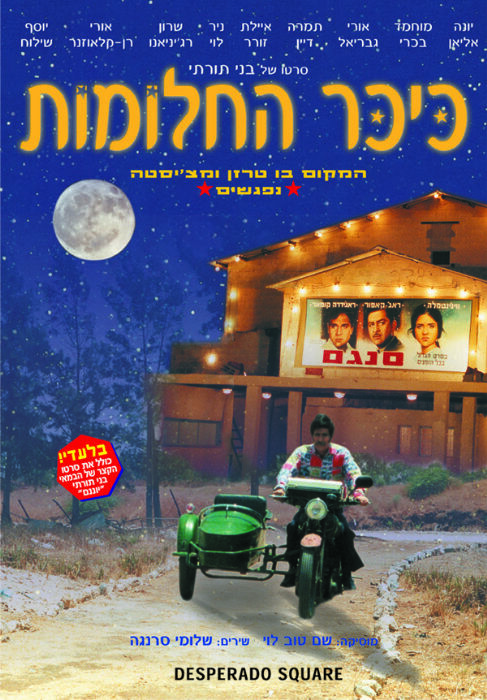 Following the advice of Yisrael ''the Indian'', who is considered the ''neighborhood authority'' on films, the brothers decide to screen the Indian-made local hit from years ago, ''Sangam''. Seniora objects to the idea (''Nobody cares about watching old Indian movies!'') and tries to convince them to find a different movie, but they insist. Soon they realize that the only print of ''Sangam'' is in the hands of Avram, their uncle, who refuses to give it to them. And so, as the time for Morris' memorial approaches, as well as the screening date, it seems that a clash is inevitable. In the tense days that follow, the past resurfaces and the brothers learn the secrets of their family history and the real reason why their father closed down the theater.